The ancient Olmec civilization is believed to have been centred around the southern Gulf Coast of Mexico area (today the states of Veracruz and Tabasco) - further south east than the heart of the Aztec empire. 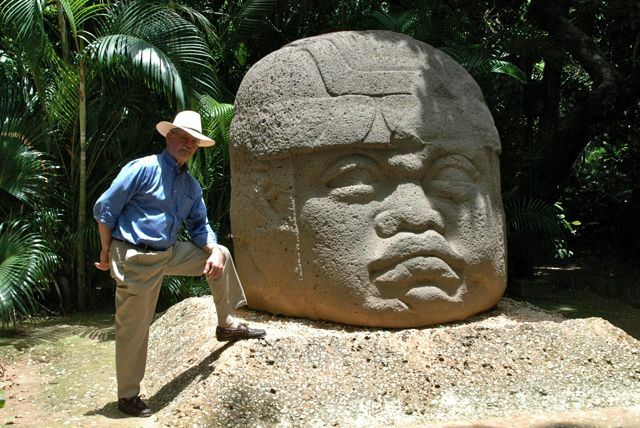 The Olmec culture developed in the centuries before 1200BC (BCE), and declined around 400BC. In 2006, archaeologists unearthed a city that they believed was influenced by the Olmecs, only 40km / 25mi south of Mexico City. A new urban society related to the Olmecs suggests that their influence may have been stronger than we ever suspected. 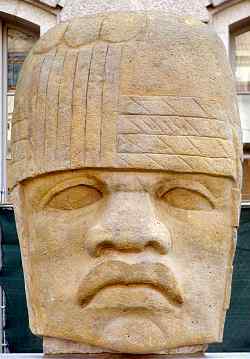 So aside from trade and carving, how did the Olmecs influence Mexico, and eventually the Aztec empire? We're uncertain, but it's believed that they may have been early adopters of the complex religious system that the Mayans and the Aztecs would use. Temple mounds, jaguars, many gods, and perhaps even human sacrifice were used by the Olmec society. The jaguar is a common figure in Olmec religion - especially combined with a snake or human child. 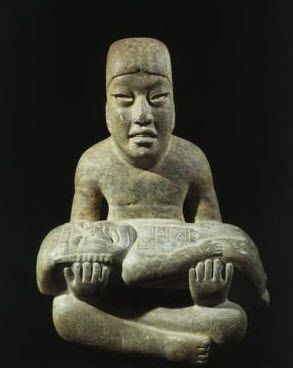 The Olmec culture thrived along Mexico’s gulf coast from roughly 1200 to 400 B.C. Best known today for their carved colossal heads, the Olmecs were an important early Mesoamerican civilization which had much influence on later cultures such as the Aztecs and the Maya. What do we know about these mysterious ancient people? 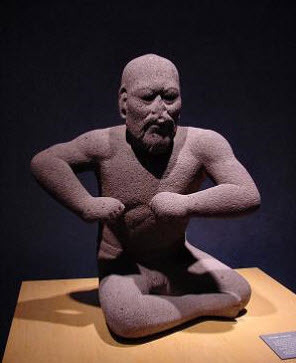 The Olmecs thrived in the present-day Mexican states of Veracruz and Tabasco some three thousand years ago. Their civilization declined around 400 B.C. and their major cities were reclaimed by the jungle. Because so much time has passed, much information about their culture has been lost. For example, it is not known if the Olmec had books like the Maya and Aztecs. If there ever were any such books, they disintegrated long ago in the moist climate of Mexico's gulf coast. All that remains of Olmec culture are stonecarvings, ruined cities and a handful of wooden artifacts pulled from a bog at the El Manatí site. Nearly everything we know about the Olmec has been discovered and pieced together by archaeologists. Archaeologist Peter Joralemon has identified eight gods – or at least supernatural beings of some sort – associated with the ancient Olmec culture. They are: the Olmec Dragon, the Bird Monster, the Fish Monster, the Banded-eye God, the Water God, the Maize God, the Were-jaguar and the Feathered Serpent. Some of these gods would remain in Mesoamerican mythology with other cultures: the Maya and the Aztecs both had feathered serpent gods. 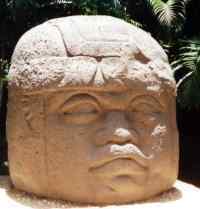 Most of what we know about the Olmec comes from works they created in stone. The Olmecs were extremely talented artists and sculptors: they produced many statues, celts, masks, figurines, stelae, thrones and more. They are best known for their massive colossal heads, seventeen of which have been found at four different archaeological sites. They also worked with wood: most wooden Olmec sculptures have been lost, but a handful of them survived at the El Manatí site. The Olmecs built aqueducts, laboriously carving massive pieces of stone into identical blocks with a trough on one end: they then lined these blocks up side by side to create a channel for water to flow. That’s not their only feat of engineering, however. 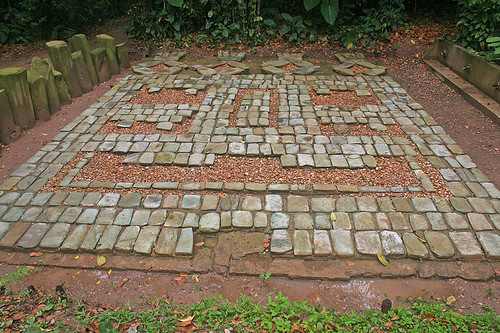 They created a man-made pyramid at La Venta: it is known as Complex C and is located in the Royal Compound at the heart of the city. Complex C is likely meant to represent a mountain and is made of earth: it must have taken countless man-hours to complete. The Olmec are considered by historians to be the "mother" culture of Mesoamerica. All later cultures, such as the Veracruz, Maya, Toltec and Aztecs all borrowed from the Olmec. Certain Olmec gods, such as the Feathered Serpent, Maize God and Water God, would live on in the cosmos of these later civilizations. Although certain aspects of Olmec art, such as the colossal heads and massive thrones, were not adopted by later cultures, the influence of certain Olmec artistic styles on later Maya and Aztec works is obvious to even the untrained eye. The Olmec religion may have even survived: twin statues discovered at the El Azuzul site appear to be characters from the Popol Vuh, the sacred book the Maya used centuries later. This much is sure: after the decline of the major city at La Venta, around 400 B.C., the Olmec civilization was pretty much gone. No one really knows what happened to them. There are some clues, however. At San Lorenzo, sculptors started re-using pieces of stone that had already been carved, whereas the original stones had been brought in from many miles away. This suggests that perhaps it was no longer safe to go and get the blocks: perhaps local tribes had become hostile. Climate change may have also played a part: the Olmec subsisted on a small number of basic crops, and any change that affected the maize, beans and squash that comprised their staple diet would have been disastrous.